Exhibition Dates: March 28 – April 29, 2018. 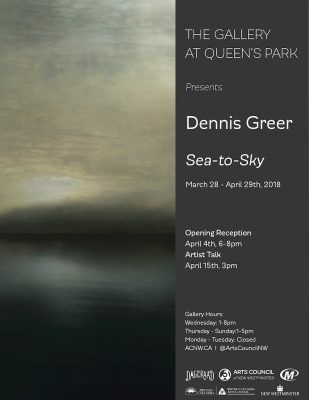 The Gallery at Queen’s Park is pleased to present Dennis Greer’s solo exhibition Sea-to-Sky. 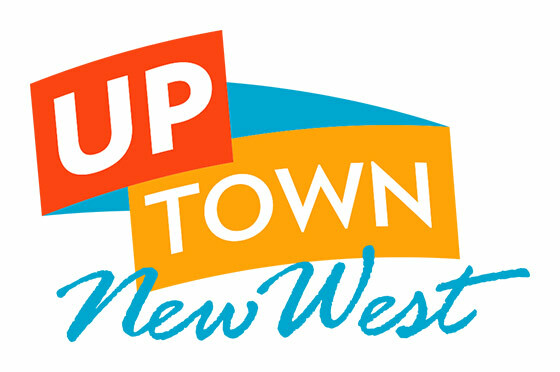 The expansiveness and quiet energy of coastal B.C. are strongly evident in the imagery and muted palette of Dennis Greer’s recent paintings. Greer has been experimenting with working on various surfaces including aluminum and wood as well as using cold wax and linseed oil with oil paint in an attempt to simulate the translucency of the rainy west coast atmosphere. The personalized style that Greer has developed attempts to translate and interpret nature through saturated layers of transparent glazes. Greer’s art is a transformative interpretation rather than a literal rendering with the intention of evoking the emotion, memory, and essence of the west coast landscape.